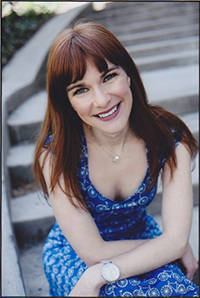 Alisa is an actor/singer/improviser/enthusiastic mover originally from Akron, Ohio. She comes to the M.F.A. Acting program from New York, where she performed musical improv weekly on the house teams Kid Detectives and The Stragglers at the Magnet Theater, and studied improv at the Upright Citizens Brigade, Magnet Theater and Peoples’ Improv Theater. She has a B.F.A. in Musical Theatre from Kent State University and has performed regionally at The New York Musical Theatre Festival, Peter J. Sharp Theater, The American Shakespeare Center, Heritage Theater Festival, Porthouse Theatre, Weathervane Playhouse, Players Guild Theater, The Huron Playhouse, Manhattan Repertory Theater, and others. She is a member of Actor’s Equity Association.